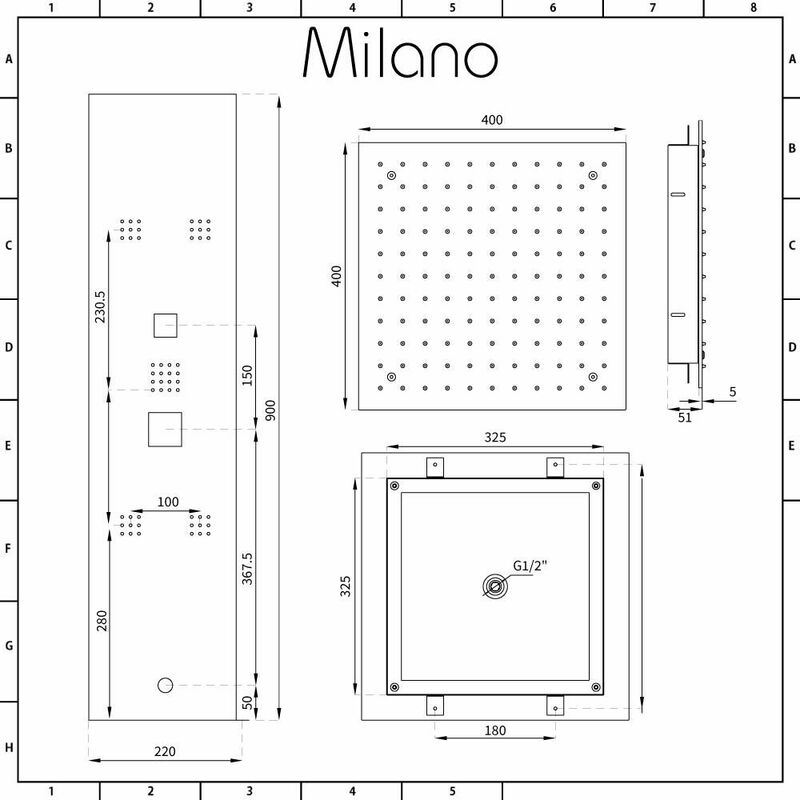 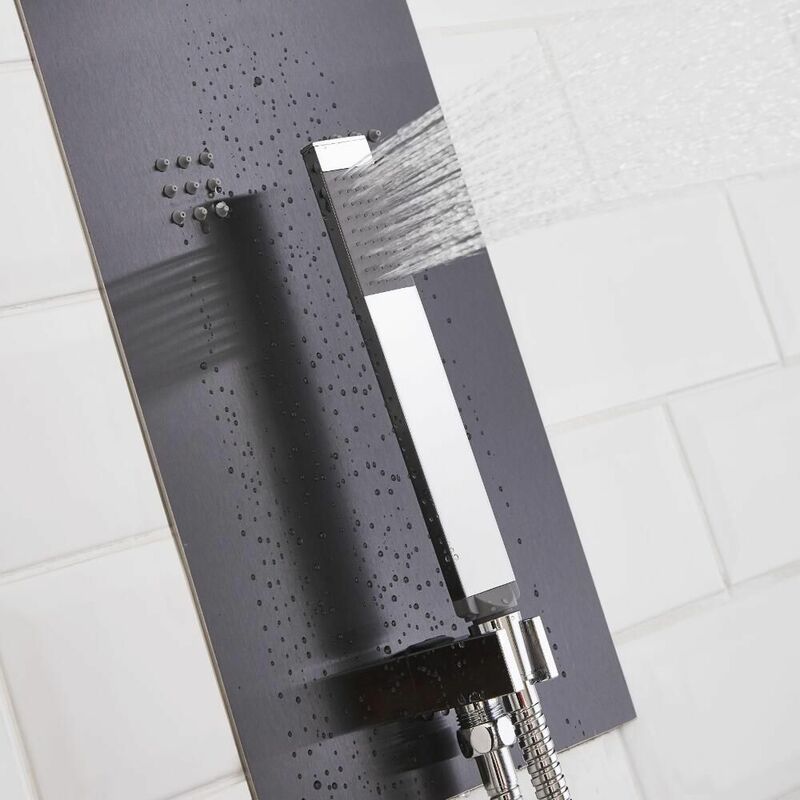 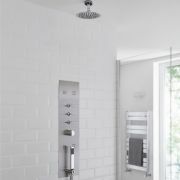 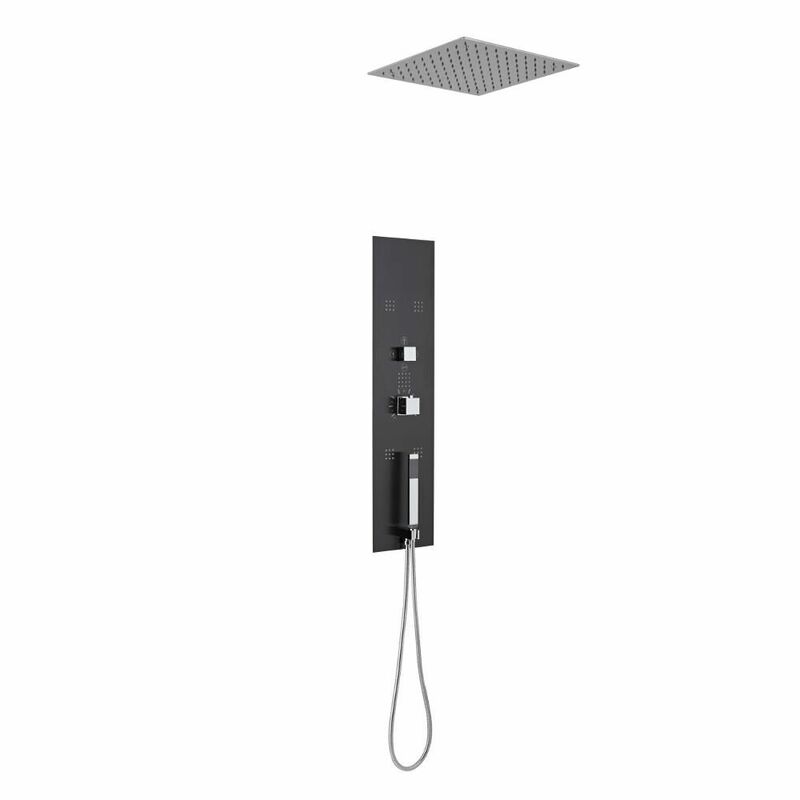 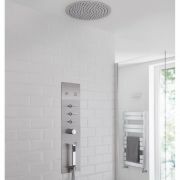 The Milano Lisse concealed thermostatic shower tower and 400mm square recessed ceiling shower head is a great option for adding designer style to your bathroom or en-suite. 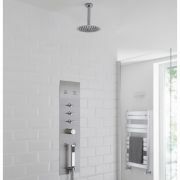 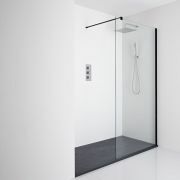 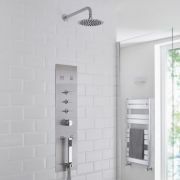 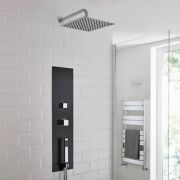 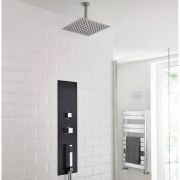 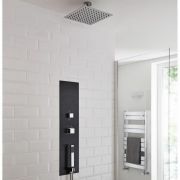 The shower Tower fits into the wall for a sleeker, more streamlined look. 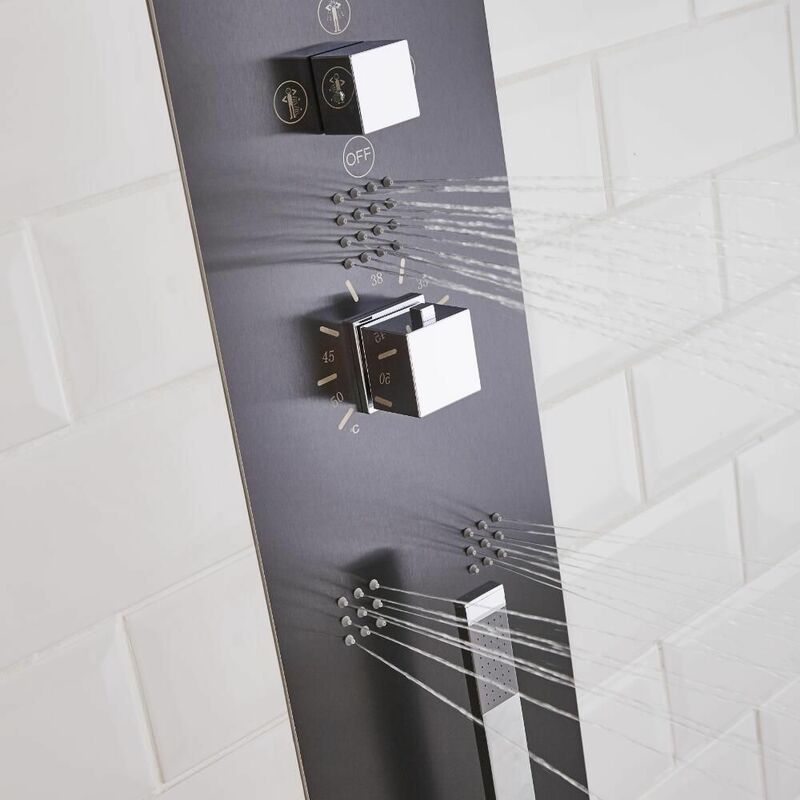 The panel incorporates four massaging body jets and a shower handset. 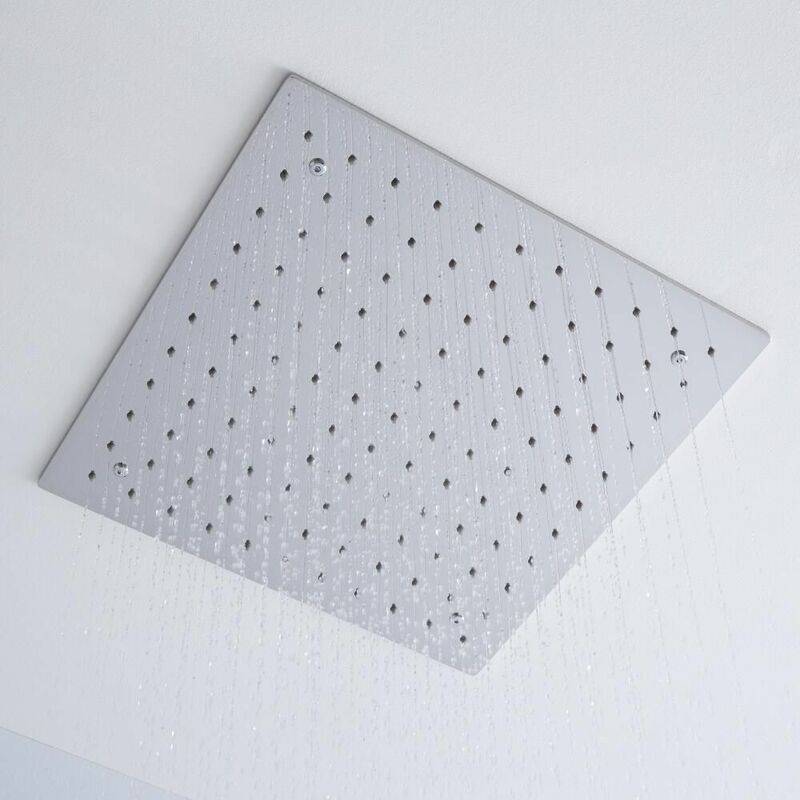 Made from stainless steel, the shower head delivers a refreshing rainfall effect. 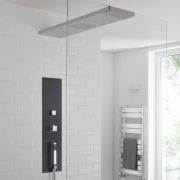 It has a chrome finish and a recessed design. 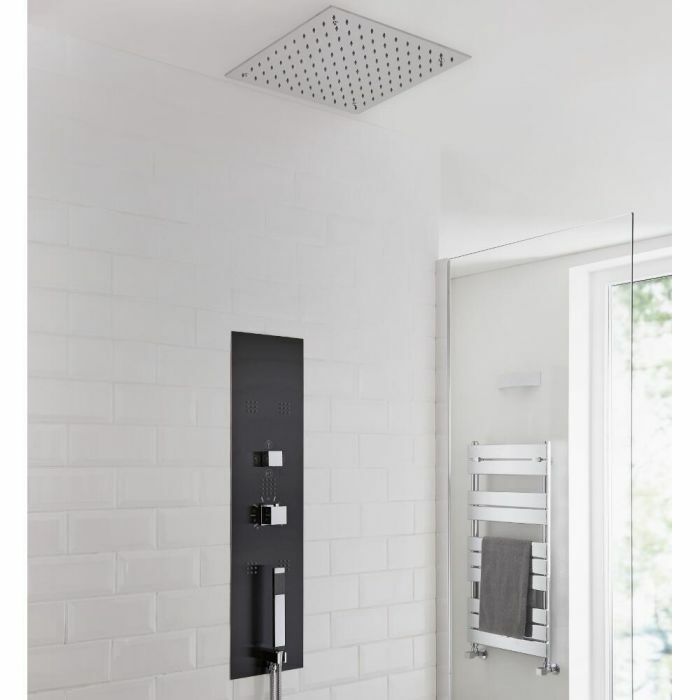 The silicone nozzles means that limescale can easily be wiped away.